Every year thousands of unwanted animals are neglected and abused. Many eventually end up in shelters where they are put to sleep. 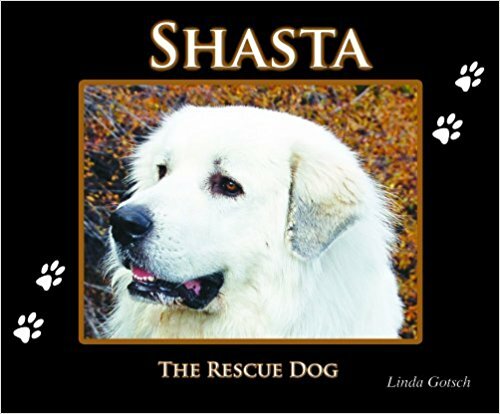 This story is based on actual facts about Shasta, the Great Pyrenees that we rescued. We now he was born on the western slopes of the Sierras, in a farm that some would call a puppy mill. We know h was in terrible shape when he was surrendered. The Sierra Pacific Great Pyrenees Rescue spent about $1500 to have him treated. He had a lung infection, ear infections and foxtails buried in the skin between his toes that had to b surgically removed. He had never had any shots at 18 months of age. He was losing his hair from poor nutrition. I hope this story touches your heart and that if you are planning to adopt an animal that you will check the many wonderful rescue organizations first. These animals deserve a second chance and can become a loved and valuable part of our lives and families.